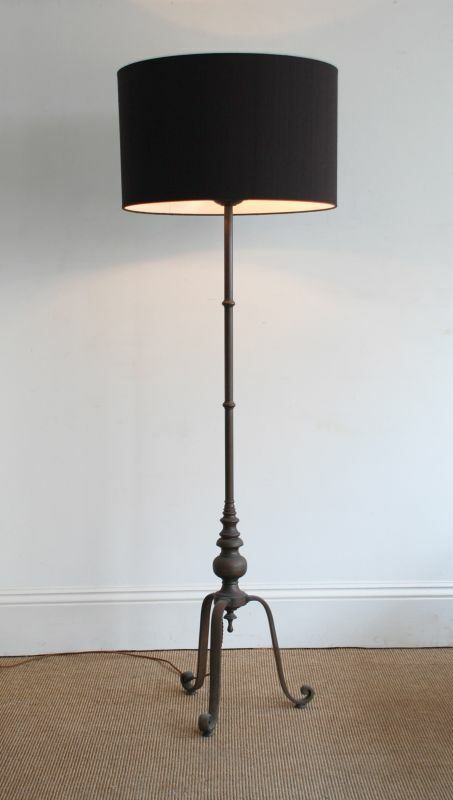 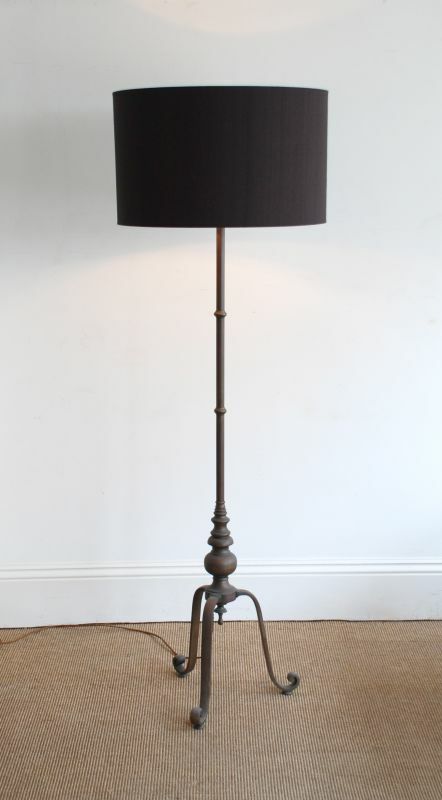 This is a well patinated brass, maybe bronze standard lamp, made in about 1920. 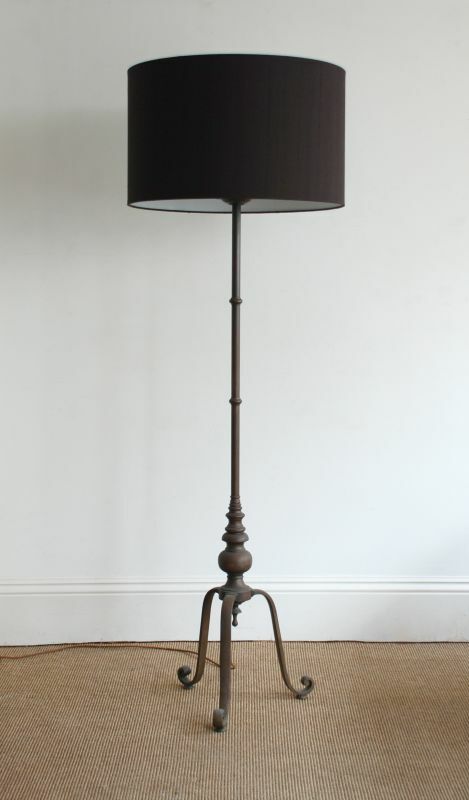 It is heavy and sturdy, tall and elegant. 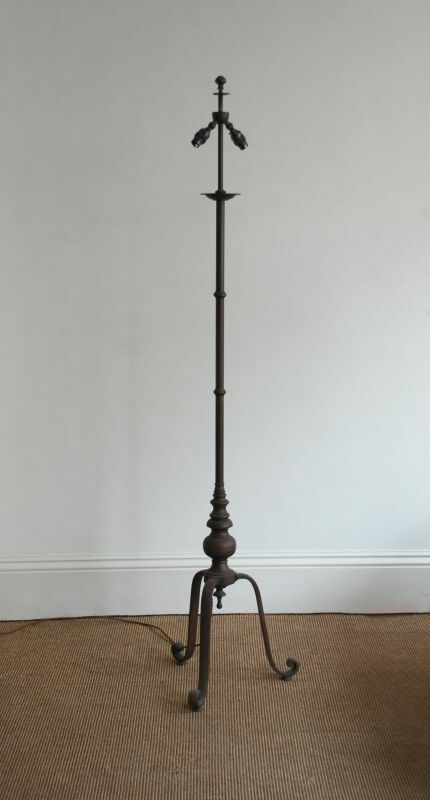 It has two bulb holders, stands on three scroll feet, a "candle" drip tray and a finial at the top. The lamp has been rewired and earthed, and will be PAT tested before delivery. The shade in the photograph is not included, most people have their own ideas for shades. 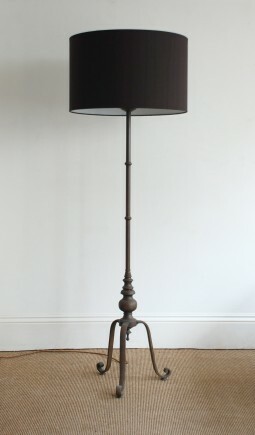 This one came from John Lewis. The measurements are 38 cm diameter at the base and 158 cm high.